Princess Sissi is the romantic story of a real-life princess from a time long ago, now transformed into a popular TV series. 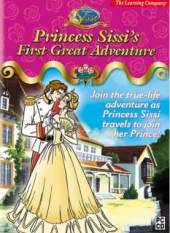 Help Princess Sissi's quest to join her Prince Charming for a secret rendezvous, overcoming all challenges on the way. You will learn more about the Princess's life and her love for Prince Franz. Climb mountains, cross rivers, jump crevices and escape from terrible dangers with the help of her faithful horse, Tempest, in this exciting adventure game for girls aged 6+. Key Features: 8 different environments, 4 bonus activities , over 25 video clips, hints and tips, original graphics and soundtracks from TV Series.